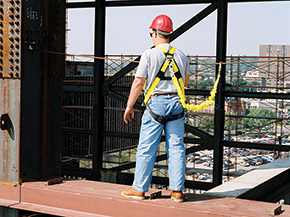 DISCLAIMER AND CANCELLATION POLICY: CERTIFIED SLINGS WILL NOT BE HELD LIABLE FOR ANY DAMAGES OR INJURY ARISING OUT OF PARTICIPATION DURING AN AUTHORIZED FALL PROTECTION COURSE. Note: A cancellation of a scheduled course within 1 week of set date will result in payment of 100% of the course fee; cancellation 1 week or more prior to set course date will result in a 50% payment of the total course fee. A purchase order, credit card or company check is required to initiate this course.Companies sending students to attend Capital Safety training must provide evidence of insurance coverage via a current insurance certificate (ACORD format preferred) at least 5 business days prior to the training date. The insurance coverage required is proof of general liability (GL) and worker's compensation (WC). The attendee will be required to sign a Participant Waiver and Release of Liability on the first day of training in order to participate in the climbing and descent portions of the training. If at one week prior to the course start date a minimum student enrollment count has not been reached, Certified Slings, Inc, reserves the right to cancel the course. Rescheduling support will be provided. If you have a question about a product, please ask our team members by filling out the form below. © 2019 Certified Slings, Inc. All Rights Reserved. Invalid or missing email address. will be sent to your email address. 10% Discount Coupon Code in your inbox.